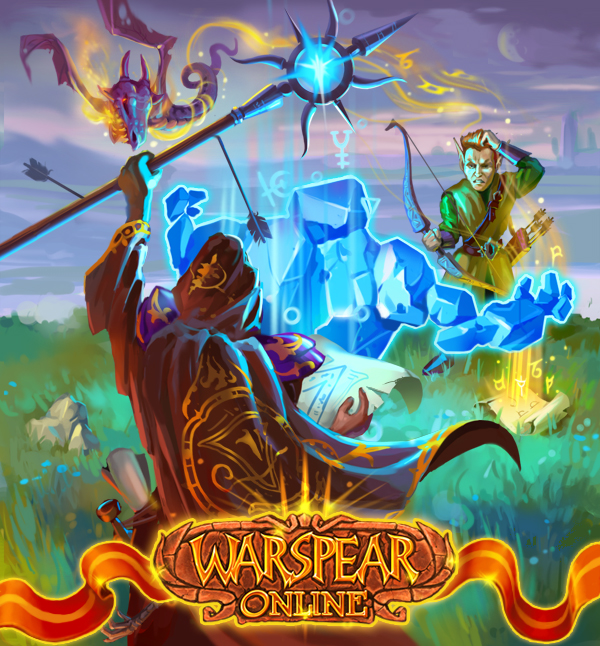 AIGRIND company announces release date of an update of the best mobile MMORPG “Warspear Online: Clash of Guilds” 3.7 for Android, Symbian, iOS, Windows Mobile and PC. 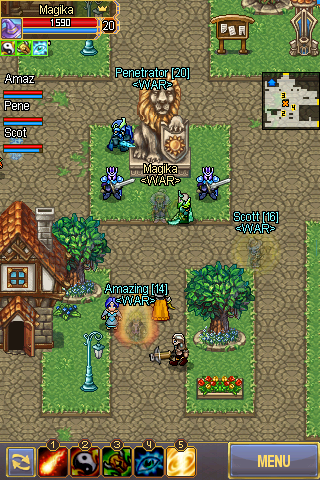 The game will go live on 7th* of August, 2013. In this update you could summon minions, receive guild experience for Arena fights, participate in guild rating and many more! It is happened! After countless sleepless nights spent over old Berengar's books, sages proclaimed that mystery of jakkar Elam is unraveled! Alliance leaders have received very first Minion Summoning Scrolls. Completing tasks, the bravest warriors will be able to release the magic power of scrolls and subdue demons. Mighty ancient spell is in your hands now! Minions are awaiting for their kind owners and harsh overlords! 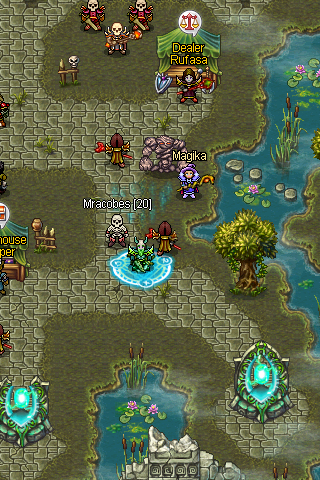 In this update players will get personal Minions, who will take the role of defenders, support or damage dealers. Minions could be summoned using special items – Minion Summoning Scrolls, which could be aquired for completing usual and daily quests, killing Bosses and by purchasing in Miracle Shop. To help you get acquainted with Minions, we made new plot quest “Nine souls of Elam” which you can take on primary island of your faction. Summon Scrolls could be different types of rarity: Normal, Enhanced and Unique. Unique Summon Scrolls only can be obtained from Minion Cache. After opening Minion Cache you will receive one Minion Summoning Scroll with random type of rarity. Choose moment of summoning wisely: summoning magic is ephemeral. We are continuing diversify methods how players can develop their guilds. 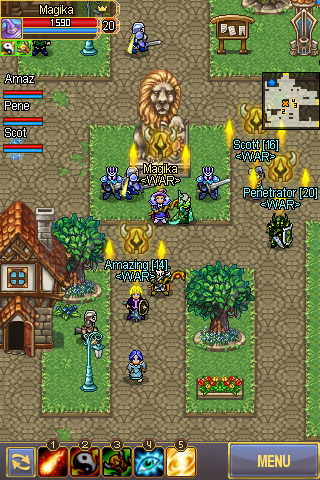 Any group that is completely gathered from members of one guild will earn Guild points. Amount of points depends on the level of the group members and the type of battle 2x2, 3x3 and 5x5. Besides that, Guilds Points now could be aquired for completing quests in Norlant Swamps and Irselnort. If you are Guild Leader or Heir, you can use active guild skills. 1st level. All guild members for an hour will get additional experience for completing daily quests. 2nd level. All guild members for an hour will get additional arena points. 3rd level. 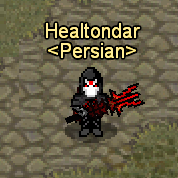 Makes all the guild members invisible for a short time. Depends on the skill level. 4th level. Makes all the guild members invulnerable for a short time. Depends on the skill level. 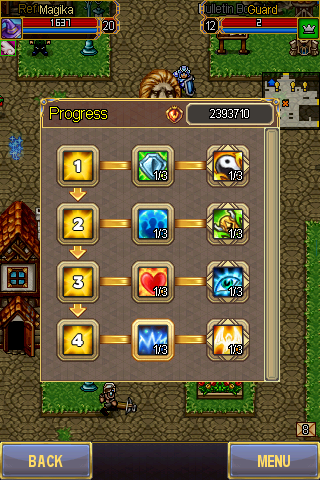 Guild Points are used as a consumable for the active skills. All guilds from both alliances of each server are participating in overall ranking, starting compete with each other every two weeks for the first three places. In Fame Casket you can find different prizes that will leave no one indifferent! Ayvondyl, with increased maximal level cap is not so far. To reduce the time spent by players at achieving maximum level, we made new item - Knowledge Elixir, which increasing receiving experience twice for completing daily quests. But that's not all: if you want to receive more Arena points for the fights, you can use Gladiator Exlixir! * Selling items required for daily quests from quest information window. * Fixed issue with deleting items from mailbox if bag was full. 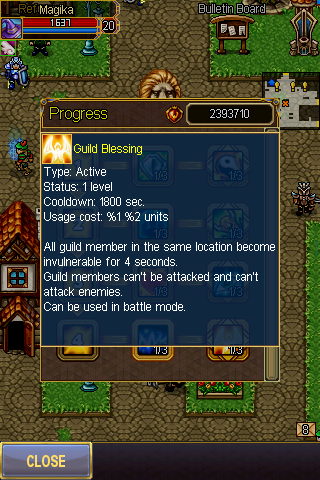 * Fixed error with displaying old name in guild list after renamining character. * Fixed issues with showing results of Arena fight if player pressed “Revive” button before the end of the fight. * Improper use of the last Market License when placing it on the market. *) The date may change due to the uncertain timing of the approval of games for Nokia Store and iPhone App Store by Apple. My only question is how long will they last, untill death? 1min? 10mins? Hr? we buy it from mcoin shoP ? means 24hours or on server reset? 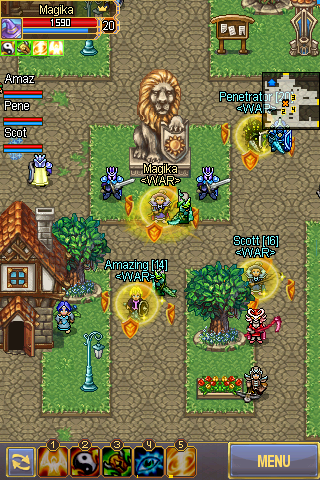 New Guild features.1. Active skills. Time limit - 20 minutes. And, yes, until player's death either. QUESTION : ea minion scroll will summon minion only 1 time ? it means we must keep purchasing minion scrolls every time we use one ? or a scroll can be used multiple time ? 99% of quests will give you Guild Points as reward. Can you guess who is the actor? snorlaxxx plz answer, can minnion bring to another map :crazy: or do crossing's style? Minion can follow you, for sure. Archer's face was drawn from one famous actor. i repeat my question snorlax each scroll will be used just once like life scroll , resistance , ect... or it can be used multiple times ? what did u expect else? Minion Summoning Scroll is a consumable item like a life scroll. Please, read the first post, all information is there.